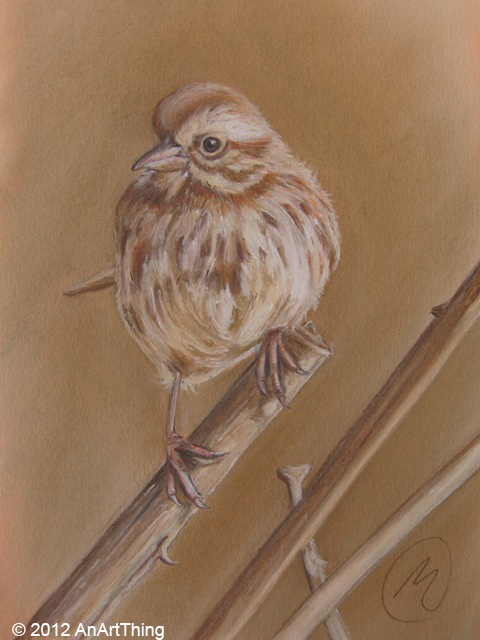 I’ve been experimenting with these pastels and have finished this little song sparrow. Thank you to Dave Slaughter for use of the photo. 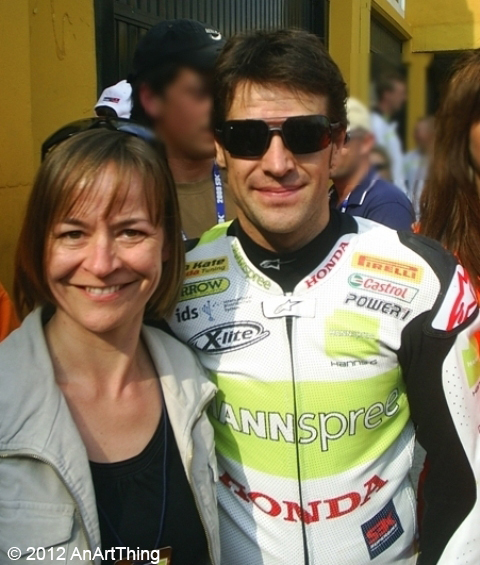 I’ve always enjoyed watching any type of motorsport on the tv, but it wasn’t until we went to our first World Superbike race in 2007, that I became a huge fan of motorbikes. From that year until April 2010 we would go to watch the World Superbikes at Cheste in Valencia, to sit in the grandstands and watch these fast machines and their talented riders, race around the track. 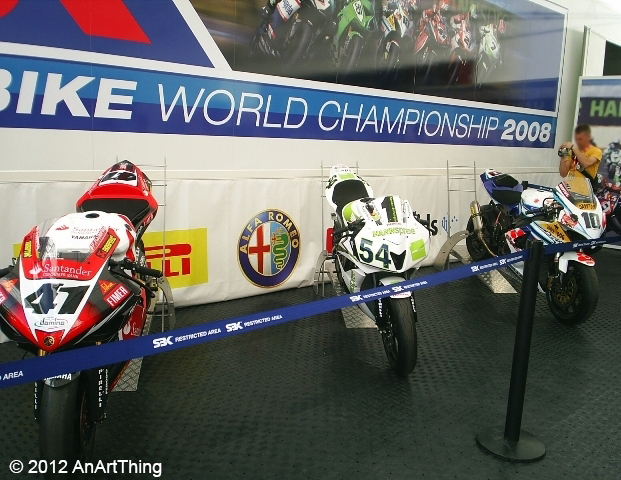 The first photo is from World Superbike 2008 of Japan’s Noriyuki Haga’s Yamaha Motor Italia, Turkey’s Kenan Sofuoglo’s Hanspree Ten Kate Honda and Spain’s Fonsi Nieto’s Suzuki Alstare. The middle photo is from 2009 and I’m with Spain’s Carlos Checa, in his second year in WSB after spending 13 years in the Motogp class (500/800/1000). Two years later in 2011 he became WSB Champion (to much of my delight – I’m a huge fan!). 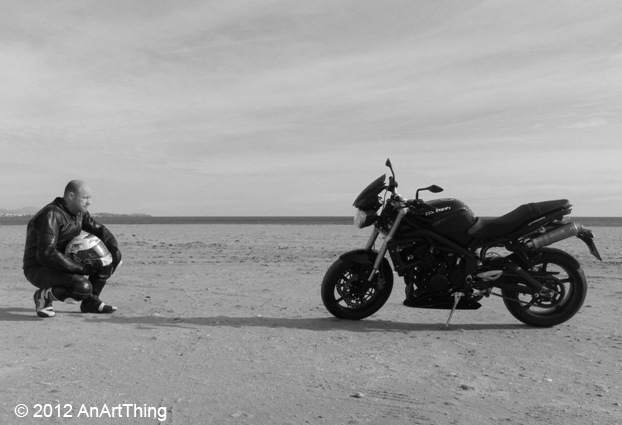 And the final photo is my favourite – my wonderful husband and his beloved Triumph. I bought some pastel pencils and paper recently and thought I’d try them out. 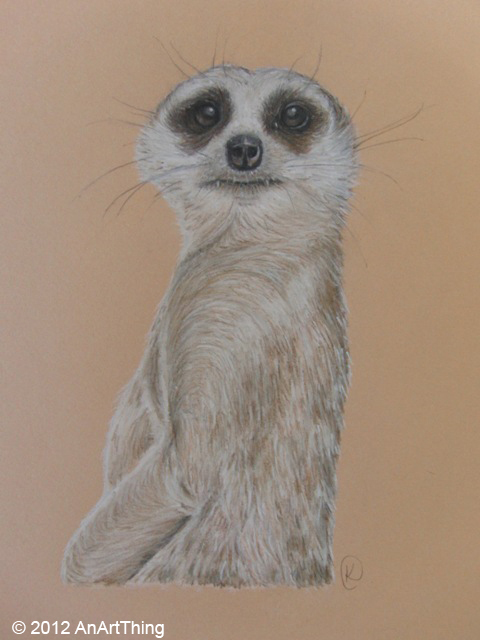 I have never used pastels before – only colouring pencils years ago. I found them very easy to use and was really impressed. I will certainly be using these again soon. 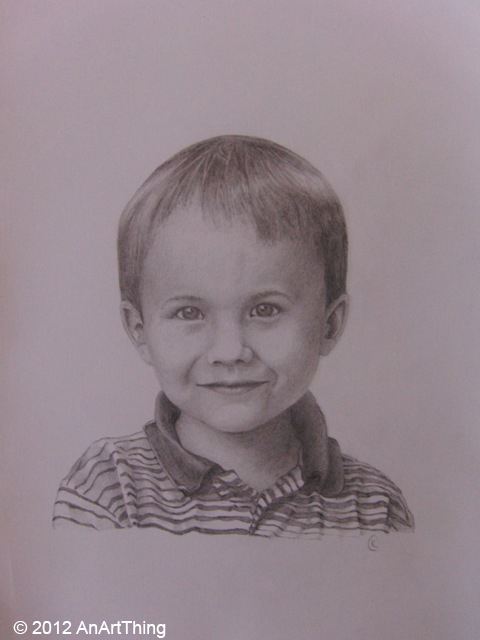 A big thank you to Pazza, who took the original photograph. Here are 3 photographs of our recent break to Valencia. 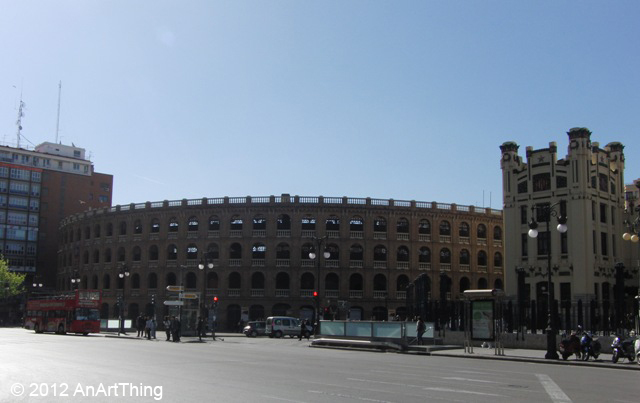 First is the bullring – this was built in 1861 and is of similiar style to the Colisseum in Rome. 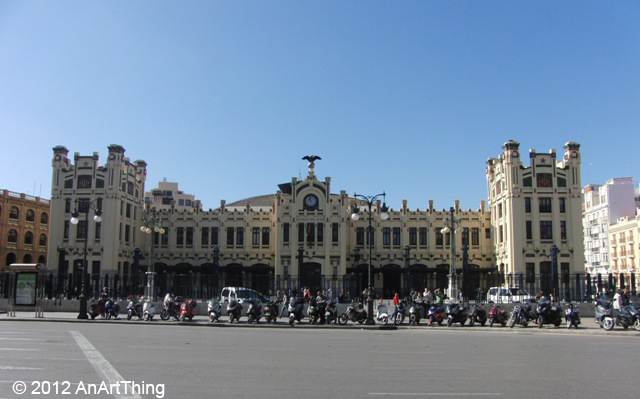 The middle photo is of the gothic style estacion del norte, which is the train station. This was built in 1917 and is situated right next to the bullring in the city. Then onto football – Valencia FC was founded in 1919, then in 1923 the Mestalla Stadium was built – where it now stands. 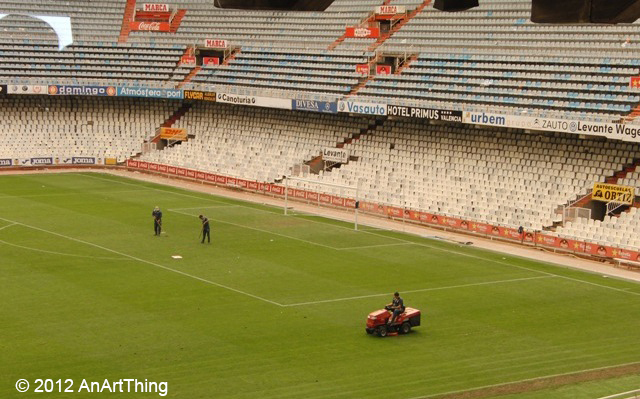 The photo shows the groundsmen repairing the pitch after Wednesday 11th April match against the Madrid team of Rayo Vallecano … Valencia won 4 – 1. Just got back from a week’s holiday in Valencia. Spent a few days in the city – did the football tour for my husband and son, and the Museo de Bella Artes for me!! The beautiful baroque building, built 1683-1744, holds the second most important art collection in Spain. 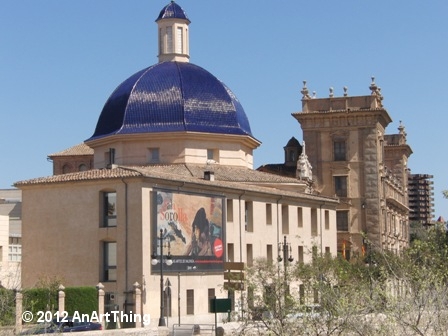 This huge museum holds 13th-15th century iconography and golden age of 17th century baroque. Also some 18th-19th century works from the Renaissance. The museum also owns a great collection of 42 canvas and 11 drawings by Valencian born Joaquin Sorolla (1863-1923). 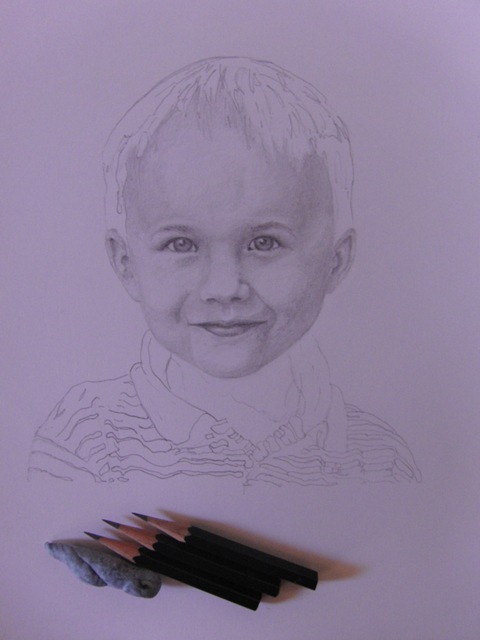 Below is the work in progress of this portrait – the first on the left, is also showing the pencils that I have cut down to a smaller size, to which I am more comfortable using. 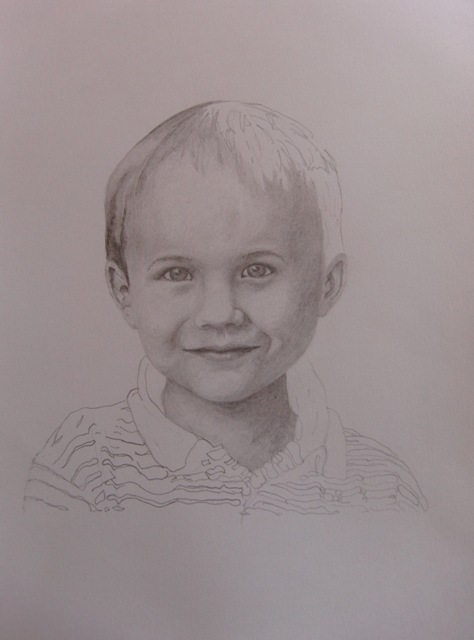 On the centre picture I’ve started the hair, but work still needs to be done on the face. 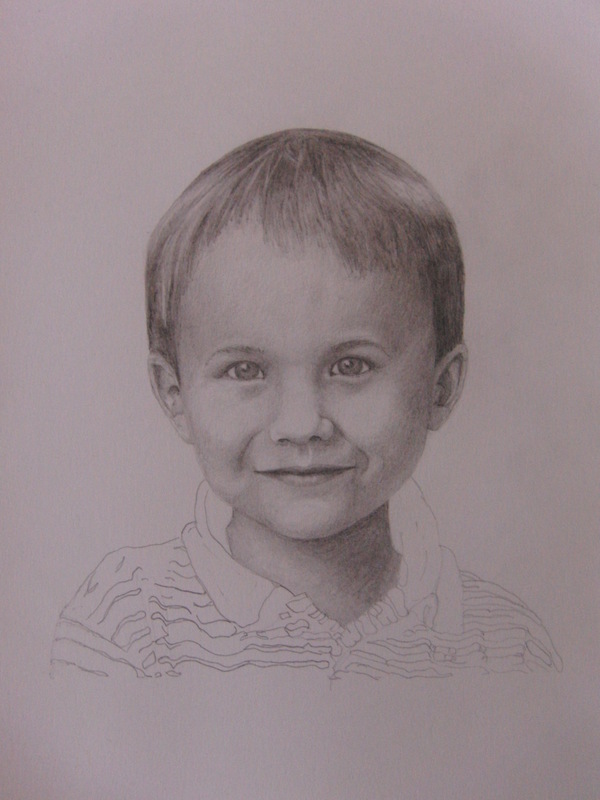 The picture on the right – with just the t-shirt to do!